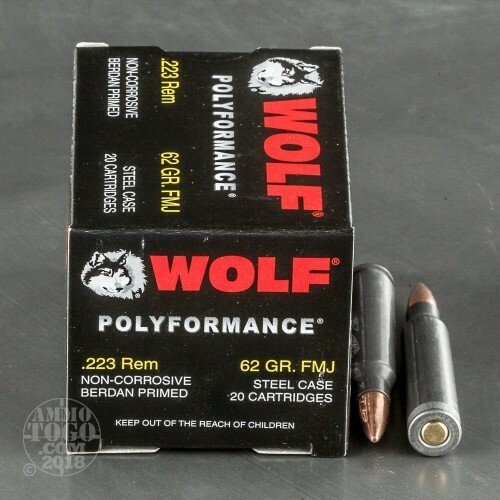 These steel-cased .223 Remington rounds from Wolf are an excellent way to practice landing hits in the A-Zone while keeping your account in the black. 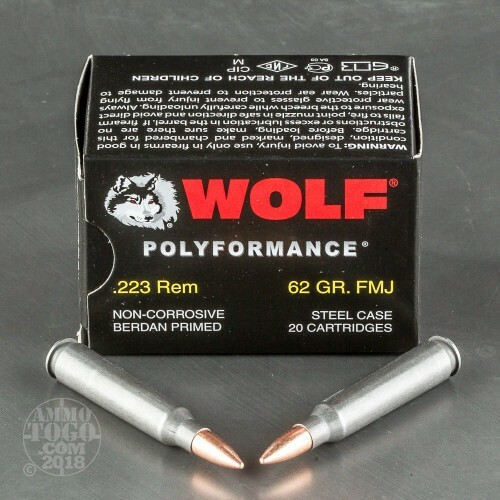 Wolf cartridges are manufactured in Russia using practices and procedures which have been refined over decades of mass production for military use as well commercial export. 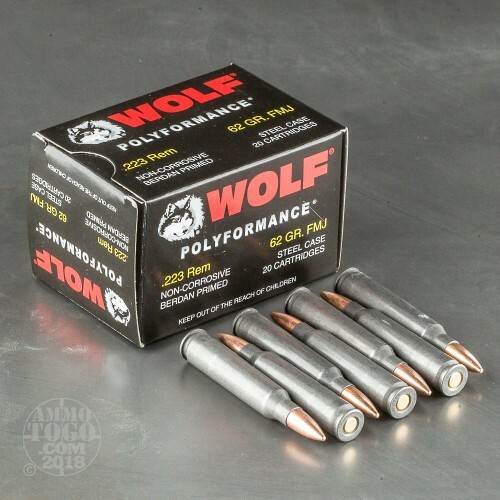 As an organization that pays close attention to customer feedback, Wolf has made great strides to optimize their products in order to meet the demands of the United States shooting community. Each of these Polyformance .223 cartridges is assembled using a non-corrosive Berdan primer fitted into a steel casing which bears a light coat of polymer to prevent rust and corrosion while maintaining reliable feeding and extraction. While steel casings cannot typically be reloaded, they allow for material cost-savings which are passed on to the consumer. 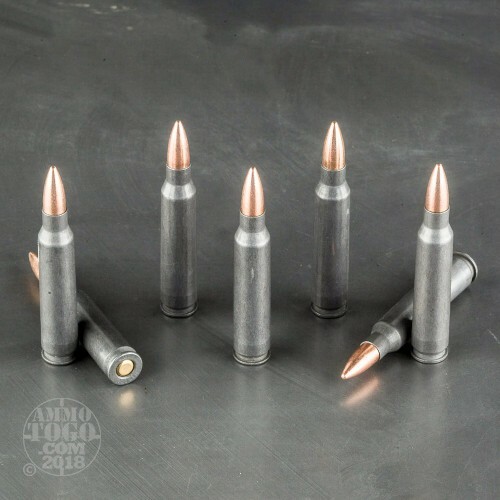 The projectile used in this load is a full metal jacket (FMJ) bullet which weighs in at 62 grains; this is common for the caliber and matches well-known sight settings for simple zeroing and predictable ranging. As of June 6, 2017, Wolf Ammo has issued an advisement against using their ammunition in any Smith & Wesson M&P 15 rifles. See the Wolf Ammo website for more information. Shot well. Had no problems. It was a good round for the money. Very nice rounds. No problems at all. Run great in 2 ar's and a bolt action. Will buy more. ATG, awesome.